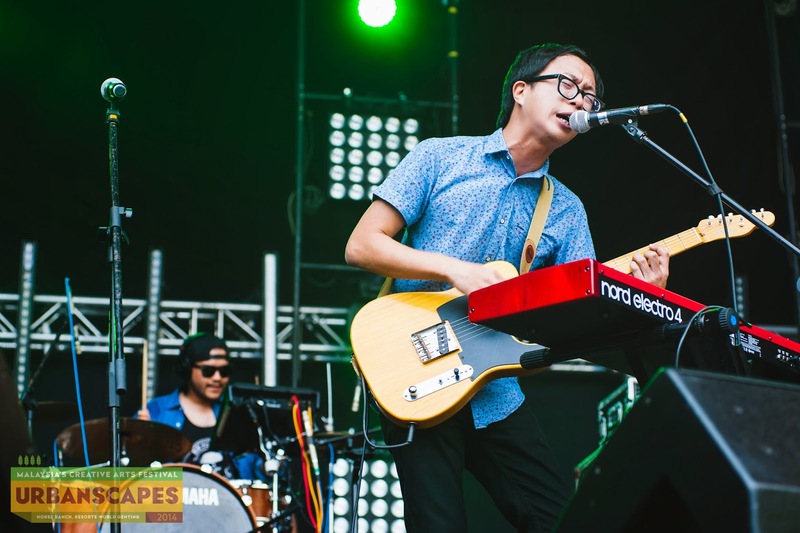 For lovers of arts and indie music, last weekend was a sure treat. Urbanscapes 2014 took place on Saturday, 6 December at Horse Ranch, Resorts World Genting and it was awesome! 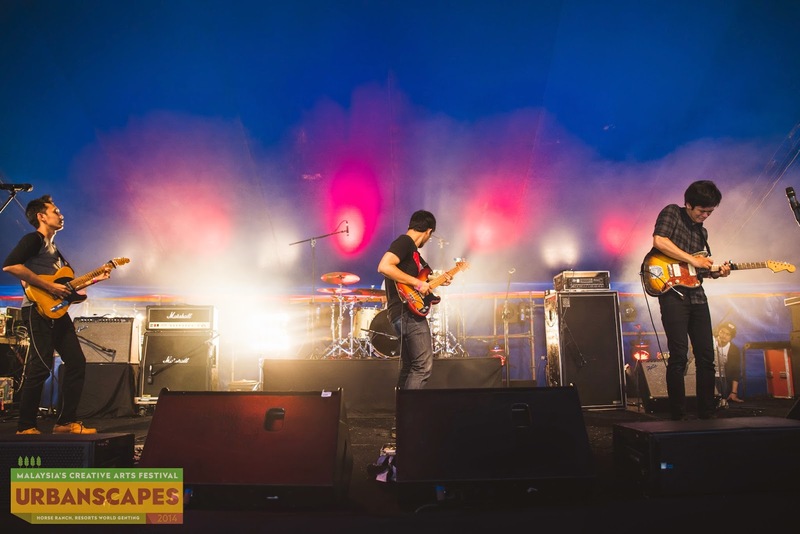 Before the main Urbanscapes event, there was a month of pre-show called the Urbanscapes Satellite Show where international rockers such as Chvrches, Mogwai and Tenacious D got everybody pumped before the main event at Genting. A map of the festival. Celebrating its 12th edition, this year the long-running creative arts festival took place at Horse Ranch, Resorts World Genting. Many might find the venue quite far unlike last year’s, which was at MAEPS Serdang. But still, getting there is no big hassle and best of all, it doesn’t even cost much! The cheapest way to get there is by bus (to be exact, the Resort World Genting Bus) which costs around RM10 for a one-way trip, and can be taken from various stations such as One Utama Shopping Centre, KL Sentral and LRT Gombak. The fees are even inclusive of the tickets for Skyway, the cable car that will take visitors all the way up to the main resort should they wish to see more of Genting. Though there is no need for the cable car if you’re just there to enjoy the festival since the location for Urbanscapes is a mere stone throw away from the Skywalk station. A short trek uphill and voila! You are at Urbanscapes. 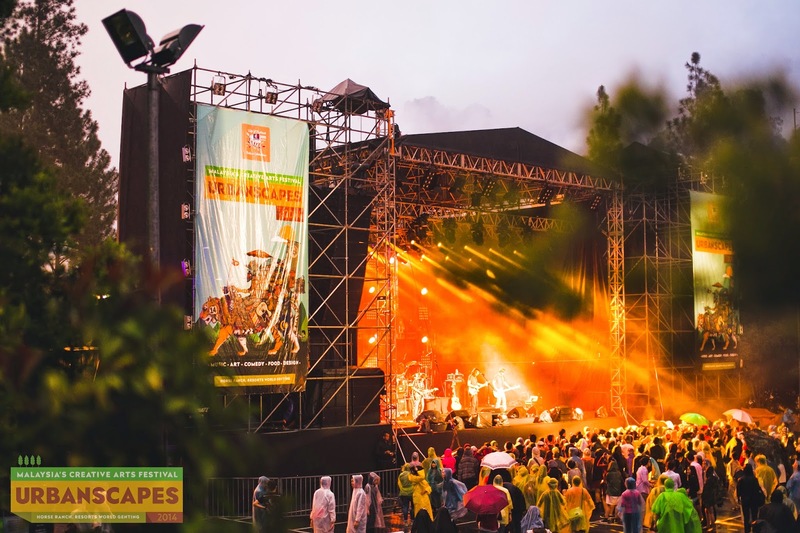 Genting might be synonym to cold weather in Malaysia but provided it doesn’t rain, the weather is relatively warm at the festival – normal Malaysian weather – because of the scorching sun beating down your back as you walk around the spacious outdoor venue. Fret not, there are plenty of tents and booths for you to take cover under. Other than to enjoy the live bands, visitors also flock to Urbanscapes to experience the fun games and activities. This year, one of the most interesting games to play would be Zorb, the giant plastic balls. If you’re game to feeling like a hyper hamster, stuff yourself into one of these and roll around to your heart’s content. Unfortunately, since this particular game for this year was brought by Tiger beer, our Muslim friends were not allowed to take part in it. Speaking of Tiger, it had three bars set up – one near the main entrance, another near the Food Village and the last close to the Upfront stage. Toss the ring onto the sauce bottles! Pieces as tall as the players. Nando’s, other than providing hearty meals to hungry festival-goers, also provided mini-games such as Jenga and ring toss. A huge version of Jenga could be found at Define’s tent, where players had to struggle hard to keep the tower with oversized pieces from toppling over. The Arts & Craft Tent was where vendors set up their booths and various items could be found on sale, ranging all the way from handmade, to pre-loved vintage pieces to brand new Kickstarter ideas – the tent had it all. One of the vendors selling handmade items. One of the many mural cubes. Visitors, who mostly came dressed to the nines, could be seen snapping selfies here and there, especially since the whole festival had interesting arts pieces literally everywhere. Of course the creative arts music festival would not be complete with various local and international indie bands rocking out at the event with their very own original songs and some covers. The performances this year was divided into two stages; the Urbanscapes Stage and Upfront Stage. At the Upfront Stage, hippie beach pop indie bad, Jumero took up the stage and performed some of their acoustic pop and soft rock songs which managed to sway the crowd away with their pleasant beats and music. The band was made up of three members; Jared Lim (guitar, lead vocals, songwriter) and Michael Lim (bass, piano, vocals), who are brothers and their friend, Ryan David Gomes (drummer, percussions, vocals). After Jumero, local indie band Dirgahayu which consisted of four members; Afifi Rahim, Seikan Sawaki, Wan Azry and Zulhezan, took over the stage as well as the audience with their rocking performance filled with robust guitar rhythms and exuberant drum beats which got the people there to dance along to the tantalising music. Meanwhile, at the Urbanscapes Stage, indie soul rock band, OJ Law conquered the stage. 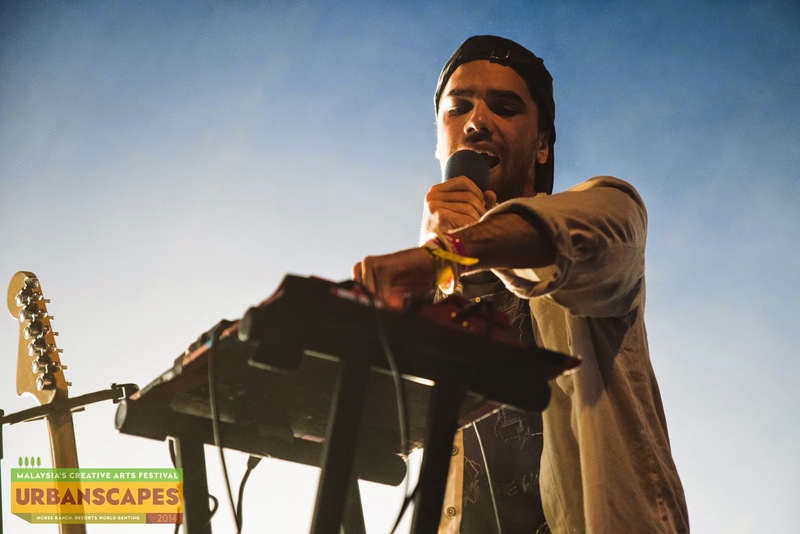 OJ Law is a multi-talented and critically acclaimed singer, songwriter and producer who managed to hypnotise the crowd with his catchy melodies and musical arrangements. However, despite all this, the main highlights and the long-awaiting performance craved by the audience were the ones after the Maghrib Break where all the international performers dominated the second part of the festival. 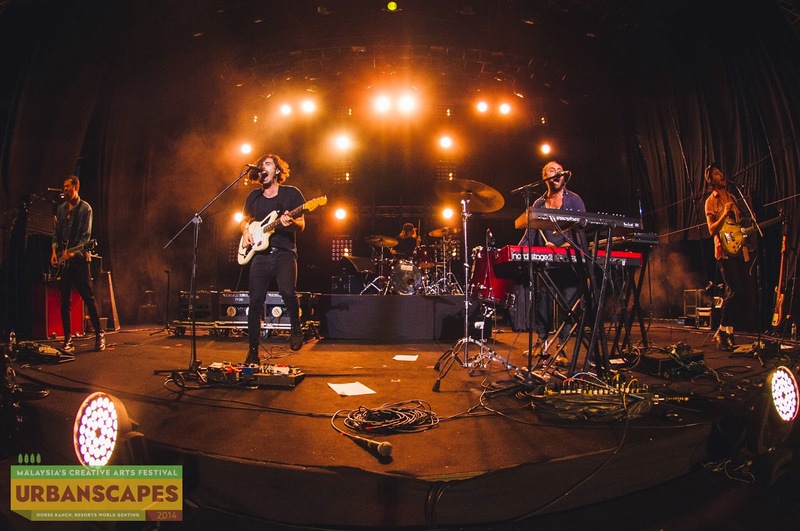 At the Urbanscapes Stage, American indie rock band Local Natives started up the night with a 2-hour set of strong performance which left a deep impression on the audience. 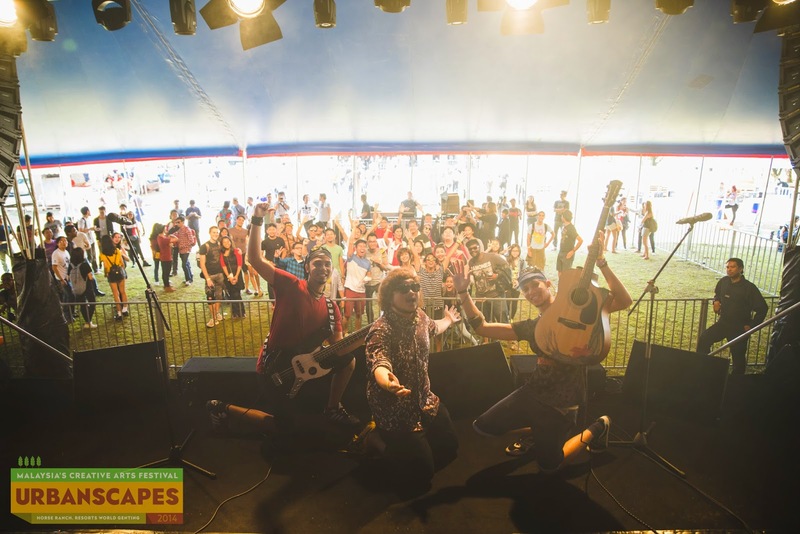 Their infectious guitar beats and captivating as well as unforgettable vocals got the cheering crowd wanting for more. The band which consists of Taylor Rice (vocals, guitar), Kelcey Ayer (vocals, keys, percussion), Ryan Hahn (vocals, guitar), Matt Frazier (drums) and Nik Ewing (bass) made the 2-hour long show so good for the audience that they even requested for an encore from the band. Back to the Upfront Stage once again, Australian psychedelic/dance band Jagwar Ma charmed the adoring crowd with a couple of their original songs from their latest album for an hour worth of performance. One of the members of Jagwar Ma. You can know that the hour was just enough for the fans as they danced along to the music, enjoying their night away without a care in the world! As you know how the saying goes, “always save the best for last”, was truly justified that night when New Zealand artiste, Kimbra ruled the main stage with her vocally strong performance embellishing her modern electropop and R&B songs. Kimbra who first reached fame fter featuring in Gotye’s international hit “Somebody That I Used To Know,” got her Malaysian fans enamored with her first ever show in the country, with some even calling it the best live-vocals they’ve ever heard on-stage.